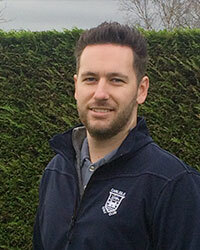 Graeme Lisle our Club Professional moved over to Cumbria from the North East in 2003, and is very proud to lead the Professional team with his dynamic approach to golf teaching and retail. The team ethos is to provide excellent customer service in an environment which everyone can enjoy. Graeme provides a range of excellent services to the Club including an outstanding retail outlet, repairs services, state of the art tuition and custom fitting experiences as well as the day to day running of the Professional Shop. With over 20 Pro-am and Tournament wins under his belt Graeme still has a passion for the game which he passes on through coaching golfers of all levels from those who are just starting to fellow Professionals. 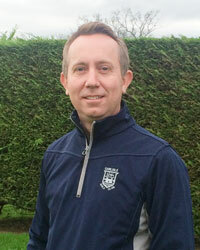 County Ladies Coach and County Junior Development Coach are just some of the accreditation’s he has achieved. A former Captain and Committee member of the NE and NW PGA. David has worked in the Professional’s Shop for nine years and is an integral part of the Professional Team respected and liked by the membership and visitors to the club. represented the North of England U16’s Junior squad. David greatly assists with the day to day running of the Professional Shop and extends a wealth of knowledge to members and visitors alike, he also assists Graeme in building the Junior Development Programme in particular recruiting youngsters to take up the game of golf. Nicky started playing golf from the age of 10 and after leaving School joined the Lee Westwood Golf School where he studied a B-TEC in Sports Performance for two years. Whilst at the school in 2012 he was part of the team that won the national finals of the British Schools and Colleges tour at St Andrews. 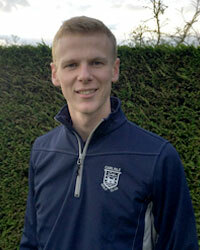 In 2011 Nicky represented Cumbria U18’s in the Northern Counties League and also won the Junior County Championship. In 2012 Nicky was given the opportunity to go to America and represent the Golf School prior to the opening of the Lee Westwood Academy in Orlando. After spending 5 weeks playing and practicing in the sun he was offered a scholarship to stay for 9 months and play on the ‘Fore The Players’ mini tour. An important part of the Professional Team who’s passion and desire to achieve his personal goals has seen him become Club Champion in 2015 and an integral part of the County Men’s Team.